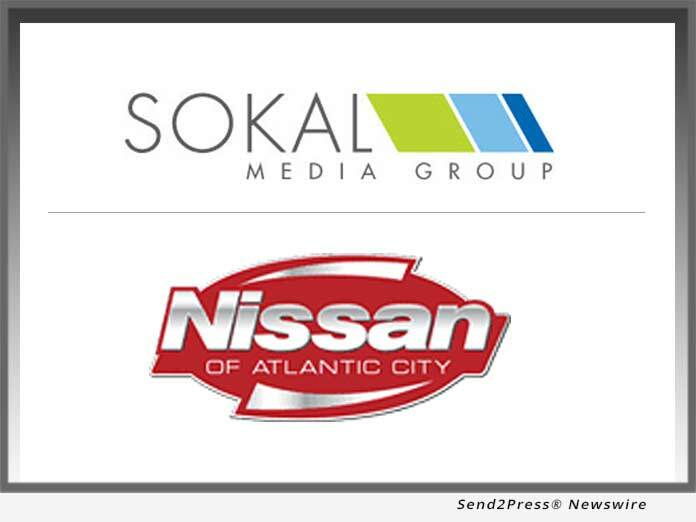 Sokal Media Group company signs Nissan of Atlantic City as agency of record. Beginning in mid-November 2018, Sokal Media Group will start a program to launch new websites for the dealership, create new advertising campaigns, and assist in many other areas of advertising. (RALEIGH, N.C.) -- NEWS: Sokal Media Group signs Nissan of Atlantic City as agency of record. Beginning in mid-November 2018, Sokal Media Group will start a program to launch new websites for the dealership, create new advertising campaigns, and assist in many other areas of advertising.